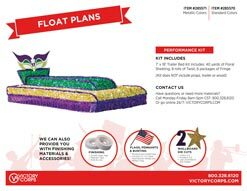 What Is a Parade Float Kit? One of the first challenges of float building is determining the correct amount of material to order. 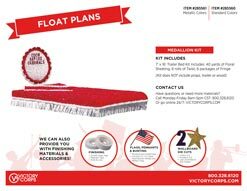 The most seasoned of float builders might have this down to a science, but for everyone else, we've created easy-to-use float kits. 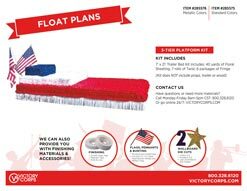 These kits include all the floral sheeting, fringe and twist you'll need to create specified float designs. They don't include lumber or props, and you must provide the labor yourself, of course, but they take the guesswork out of material ordering. 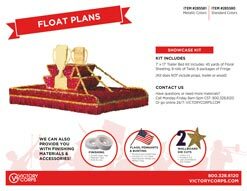 As an additional bonus, these float decorating kits come at a 10% discount over buying all the materials separately. Who Came Up with These Float Kits? Leroy F. Vaughn of Vaughn Displays and his longtime partner Cyrus A. Krake were the creators of these do-it-yourself float kits. As longtime veterans of the float-building circuit, they wanted to share their love of parade floats with anyone who had the desire to create one. 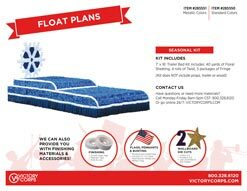 By the mid-1950s, Vaughn Displays was the largest manufacturer of parade float kits, and the company would eventually change its name to Victory Corps. 1. Backgrounds, contours and float props are all "Made-to-order" and you MUST allow us production and shipping time for these components. Since the large pieces must be shipped by truck, please allow at least 3 weeks after placing your order for shipment. 2. 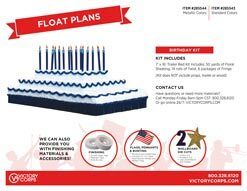 Float kits may be ordered in any color combination. Please specify the color for each item when ordering. Click here for complete color chart. 3. Signs, letters and name panels are not included in the kit unless listed. 4. 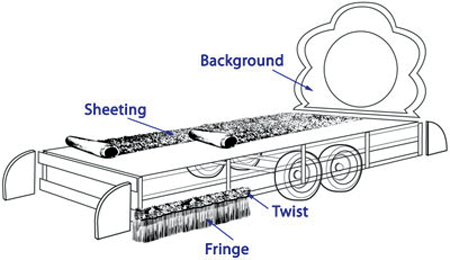 Sheeting requires some form of backing (wallboard, cardboard, plywood, etc.) which is not supplied with the float kit. Lumber for the float construction and the vehicle upon which to build the float are never included in the float kit.